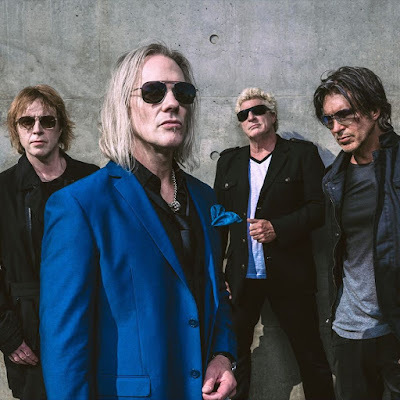 I recently had an opportunity to speak with one of the driving forces behind the bands' continued success, founder/guitarist Bill Leverty. He brought me up to speed on all things FireHouse and more! Cate Meighan: How have you been? CM: You guys are in your 29th year together too. Could you have ever predicted that the success would continue for so long? BL: I had sure hoped so. I really thought that we could last because we all come from the same personal life backgrounds. We all had good parents that taught us good values and how to respect one another. I think that's a fundamental thing and you've got to be able to do that in any business or art form, and so I always felt like we could do it. The odds were against us, but here we are 29 years into it and we're still playing and having fun so we're definitely lucky. We have our debates and at times heated discussions but in the end everyone is professional enough to be able to say, okay I lost that vote and it's no big deal let's just move on. We all love playing live and we love to work and that's what it has been about for us. There isn't a lazy person in the band or the crew which is good because it can be really tough out there. We're up at 3 am to catch a 6 am flight, to end up somewhere that we'll have to wait for a couple of hours before flying on to the next place. Then we hop in a van for a few hours to arrive and set up a show that'll have a soundcheck if we're lucky. Then we grab something to eat and we get out there and smile and have a good time playing our songs. Sometimes there's no sleep, but we're so passionate about what we do. We love to get up there and play. CM: You've released quite a bit of solo music. Do you struggle to balance that with the band? BL: Juggling both is very easy because FireHouse is first and my solo career comes second. Actually, even other things can get ahead of the solo stuff, like if I'm mixing somebody's record then my solo career is on the back burner. I don't think that I ever made a conscious decision to go solo and I really take my time with it. I don't tour with it, all I do is write and record. My first solo tunes record came about because I had written a bunch of songs that didn't really fit FireHouse. I put them out there for the guys and ultimately they didn't get voted onto the record so I just kept my little pile over here. Once I had enough or even close to enough, I figured I'd go and finish them off and put them on a cd. That was a good learning experience for me because I'm trying to become better overall as an artist, not just as a guitarist. Although I think that being a guitarist is my main thing (laughing), I also want to become a better writer, singer, mix engineer and producer. I want to learn how to make the drums and the bass work together better and harmonies work together better, and how to put in a string section- things like that. So it has been an educational thing and I've partly done it for that reason. Plus it's mine so I can do it all my way with no pressure or debate which makes it a great outlet. I've put out four cd's now. One was a little too bluesy for FireHouse and another was of cover tunes that I had always wanted to do. They're songs that influenced me even before I started playing guitar. 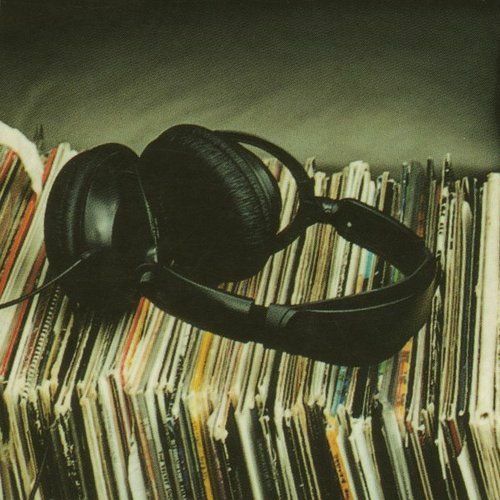 I started playing at the age of fifteen which is kind of late compared to most guys, and I was heavily influenced even as a listener by things like 70's funk. I wanted to do some things like that and cover some tunes that hadn't been done to death. I learned a lot about how those guys from the 70's worked by putting out those tunes and so again, it was really educational for me. Plus it was a lot of fun! I'm about nine songs into my fifth solo album now. It's a therapeutic thing for me and anytime that I'm inspired to work I can come down into my basement, turn on my computer and I can write and record. CM: How about FireHouse, is there any new music coming from the band? 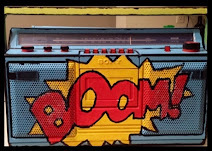 BL: The way of thinking about releasing new music certainly has changed with the times. Having said that, we all want to do something else. I think the way to do that, just to get it started is to do the one song at a time approach. We've all got ideas and we all do want to do it, which is a good thing. What's really slowing us down is how busy we are on the road. Last year we did 57 shows and to do a show we usually leave the day before, play and then fly home the day after that. Most of the time we're out for a few days and as the summer rolls in we'll be playing Thursday, Friday and Saturday, then flying home on Sunday. When you've been on the road and haven't slept much you need time to recover and then you do it again. We've all got families and personal lives to take care of too. Taking off for three months to write, record and mix an album doesn't make fiscal sense or even band sense for our crew to take off that kind of time. We could probably squeeze out a song in our days off if we knew that we had the right song to use. Right now we've got a lot of good ideas and I'm sure that we'll get around to figuring it out. I bet we have two cd's on our website right now that a lot of people don't even know that we've put out. They're "Prime Time" and "Full Circle" and you can always go to FireHousemusic.com to get those. We're really happy with the way that they've turned out so if you haven't already, go and have a listen. 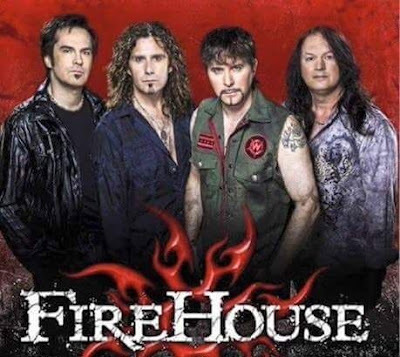 CM: Were you excited when you learned that FireHouse is part of the M3 Rock Festival lineup again this year? BL: I love festivals because they're such a great experience for all of the people that are out there. It's such a unique thing and with a festival like M3, I probably get excited a month in advance knowing we get to play it (laughing). They have such an A- list team behind the scenes to make it go smoothly. It's so good for the audience, and that makes it even better for the band. I mean even when little things go wrong like your guitar cable isn't working, if you blink your eyes you've got a guy handing you a brand new one. They're just that on top of things and everyone involved is just such a top-notch professional. The rotating stage they added last year just makes it truly a perfect event and there is no other festival that I've played that even comes close to it in my opinion. CM: The fans are so supportive of you and the rest of the band. What would you like to say to them in return? BL: Thank you for making it so that we can still be doing this 29 years later. We're one of the luckiest bands because our fans have such an emotional connection to our music. The fact that we can still go out and play and make this our bread and butter is just wonderful. We're doing really well and I think that the band sounds better than we've ever sounded. 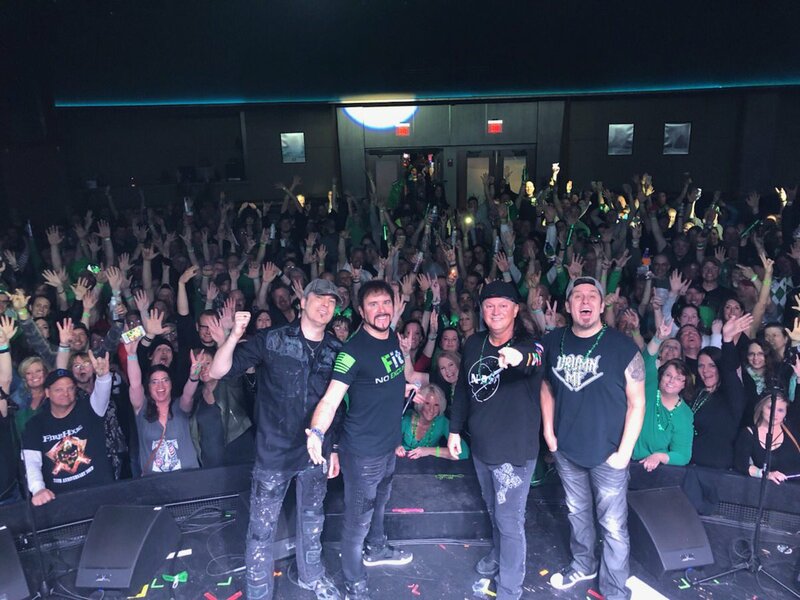 The band is firing on all cylinders and we're having a lot of fun playing and we owe it all to the fans. Check out everything that Bill has coming up by visiting his official site. 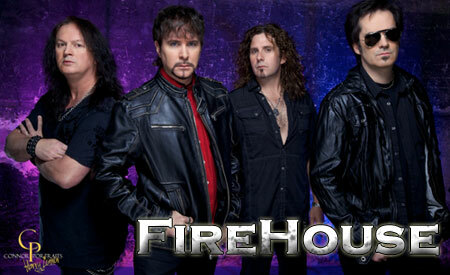 Check out FireHouse's official site for news, tour dates, merch & more! You can also catch them at the M3 Rock Festival May 3-5th in Columbia, MD!